Isn't it nice to cocoon yourself in a snuggly, soft jumper? This is just how I felt when getting into this grey and white stripe beauty. I picked it up in Florence and Fred, knowing it would be a great addition to my AW wardrobe. Pairing it with white jeans on this occasion, but I reckon it will look fab with jeans, or leggings too. Loving the front tie detail, great for hiding a wobbly tummy, especially when you can tie it as tight or loose as you like. I kept the grey and white theme going with grey tie wedges and my grey jaeger bag. Just adding a floral necklace gives an interesting finish, from here it actually looks like a sweet little collar. I'm thinking of adding this to my red velvet skirt, maybe tucked it, but will see how it looks - stay tuned for that one. Time for the party to start, the #chicandstylish #linkup is ready and waiting. Meet Jennie. I fell for her plain but striking mustard & white outfit as soon as I saw it! Love how Jennie has carried through the circle theme with her spicy ball earrings. The palazzo trousers in the colour of the season just punched their way through the screen. I'm searching for a similar pair so I can be a copy cat with this one! 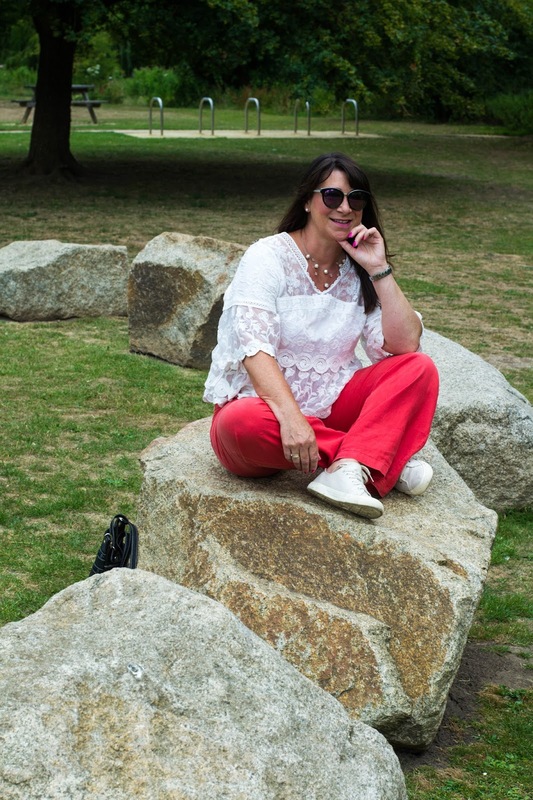 See the full post on Jennie's blog A Pocket full of Polka Dots. Thanks for joining me today, looking forward to seeing what you're wearing now the weather has changed - although as I write this I'm wearing a tee shirt and knee length shorts! I do wish mother nature would make up her mind! Nice buy, the necklace does look like a cute collar! Such a chic outfit Jacqui! I love it! I am so envious of the cooler weather everyone is having; we are still having higher than usual temps and it's getting exhausting! Jacqui, I love this jumper in the tunic length! I have been wanting a super chunky knit one in dress length, but they always cling me in all the wrong places. I am determined to find one though! I love the soft gray and white together, too. This is a super cozy look for fall. Thank you for sharing your fun hen night stories, too! So chic, just love this look! Cute outfit. I love sweaters and sweater dresses once the weather cools off. What a gorgeous outfit, Jacque!! That sweater is something I buy in a minute...so interesting and warm!! You look cozy and grey and white are so classic. 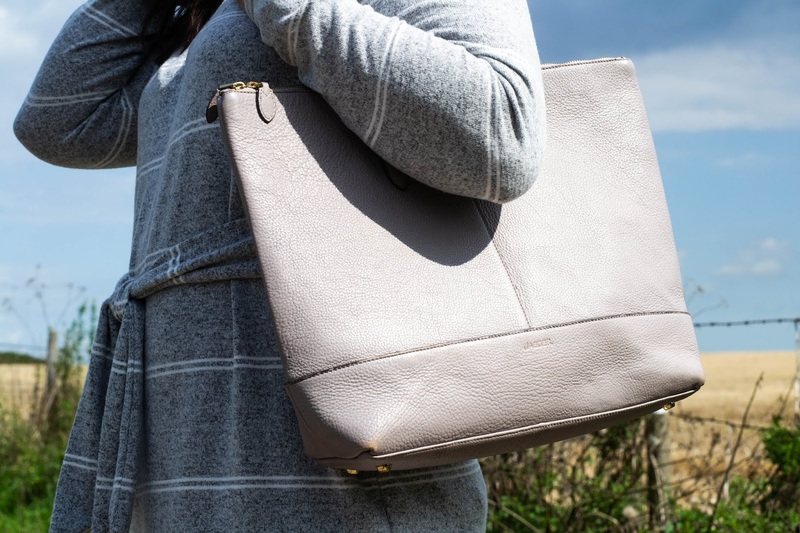 A grey bag is so useful too. Glad you had a good time. I'm off work today with this cold bug going around. Yes I've had heating on too since Sunday. Very nice tunic! It is such a lovely color and looks incredibly soft. Surprisingly it actually feels like fall here, too, which normally doesn't happen until late August. I'll take it! Thank you very much for the feature this week, Jacqui! I Loved wearing this look. 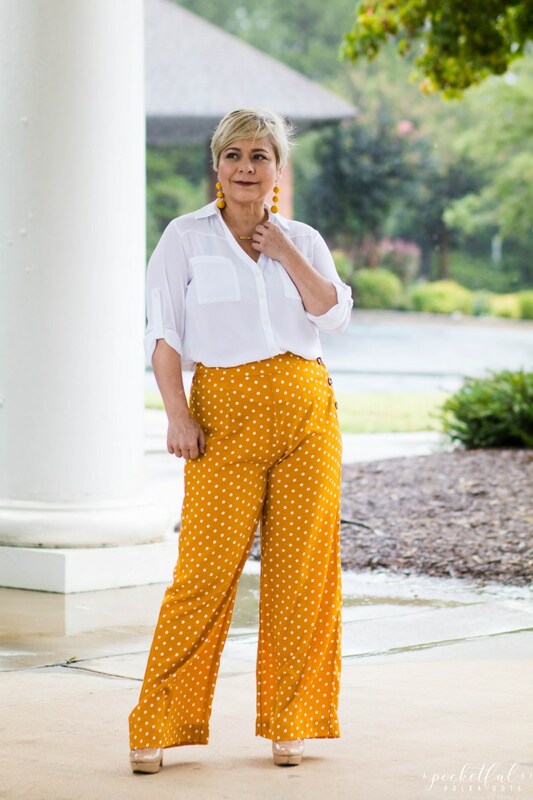 Best of luck on your search for similar pants! I have been enjoying the sun all afternoon, but it's the last day. I love the look, it looks warm enough, but not that,, heavy,,. I am freezing as we speak—what happened to summer?! Hope you are staying warm and cozy! I love your cozy top! Cutest transitional outfit! Grey and white, what's not to love? That's a great length on you, Jacqui. I actually put the heating on last weekend during the stormy rain, even though it's normally off-limits till 1 October! But it's been El Skorchio down south in Guernsey again this week and my heart has been exploding with the joy that summer in September brings! I love your tunic! It's such a cute piece! And those heels are fabulous too! The mornings are really cool here now. I love snuggly clothes that keep me warm! I get cold easily. I love the neutral grey color and the stripes and how you paired it with white denim to keep your legs warm! So cute! 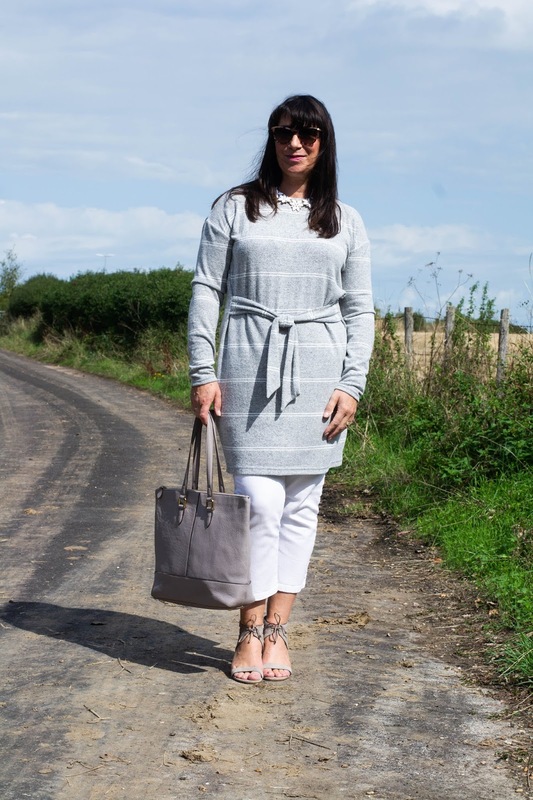 Gorgeous tunic Jacqui, I love the soft grey colour, and those sandals are so pretty! Sounds like you had a really fun trip with the girls! 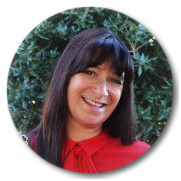 Thanks for sharing at Creative Mondays too Jacqui :) Hope you can join us today. The grey of your tunic is such a pretty colour on you! Love your wedge heel too!